MONDAY, March 20, 2017 (HealthDay News) -- The number of U.S. kids who overdose on prescription painkillers each year may be declining -- but the incidents remain a major public health problem, new research says. 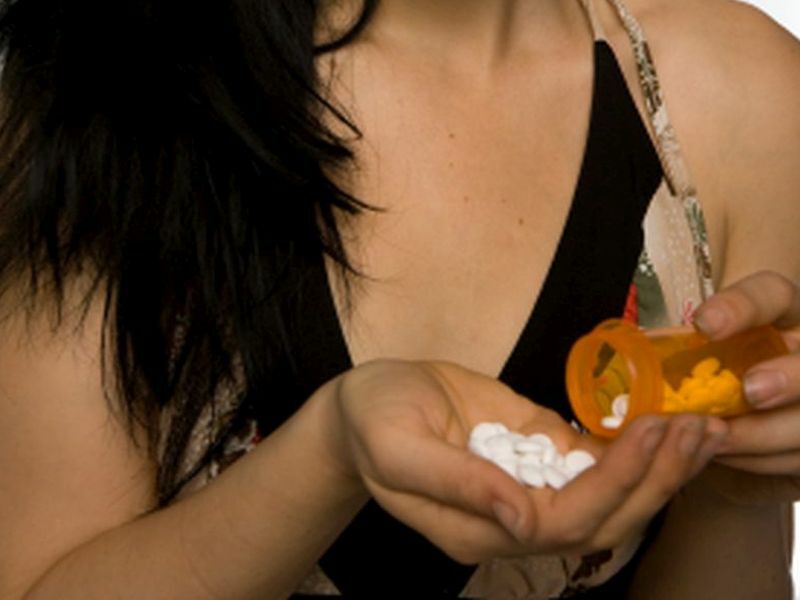 Since 2009, U.S. poison control centers have seen fewer calls about children and teenagers who've ingested prescription opioids, researchers found. Often, those incidents involved young children who'd gotten hold of an adult's medication. In other cases, it was a teenager who intentionally abused the drug, or used it to self-harm. The fact that the incidents may be waning is "good news," researchers said. But, they stress, the issue is not going away. "We really have a major problem in this country [with opioid abuse]," said Dr. Marcel Casavant, one of the researchers on the study. "And it's trickling down to our kids." And in certain ways, the study found, things have gotten worse: Among teenagers, for example, the rate of suspected suicide by opioid overdose is rising. "That's an alarming finding," said Casavant, who is chief toxicologist at Nationwide Children's Hospital in Columbus, Ohio. It suggests, he said, that a growing number of teens may be suicidal -- and have easy access to fatal opioid doses. The findings, published March 20 in Pediatrics, offer the latest glimpse into the U.S. prescription opioid epidemic. The drugs include oxycodone (OxyContin) and oxycodone plus acetaminophen (Percocet). Starting in the 1990s, U.S. doctors started prescribing the medications much more often over concerns that patients with severe pain weren't being adequately helped, the study authors said. Nationwide, sales of prescription opioids have quadrupled since 1999, according to the U.S. Centers for Disease Control and Prevention. But there was an unintended side effect: a sharp rise in painkiller abuse and "diversion" -- meaning the drugs increasingly got into the hands of people with no legitimate medical need. In 2014, more than 2 million Americans abused a prescription opioid, according to CDC figures. More than 15,000 people died of an opioid overdose in 2015 -- in what the agency calls an epidemic. The new study focused on calls to U.S. poison control centers by people seeking help for children or teenagers who'd ingested a prescription opioid. Between 2000 and 2015, it found, there were roughly 12,000 such calls each year, on average. That amounts to about 32 calls per day. The most common scenario involved a child younger than 5 who'd gotten hold of an adult's opioids -- legitimately prescribed or not. But 30 percent of the time, it was a teenager who'd taken the drug to get high or for self-harm, Casavant said. Overall, 175 kids died -- 55 percent of whom were teenagers. Half of the deaths were deemed intentional, the study said. Through much of the study period, the problem grew steadily worse: From 2000 to 2009, the rate of incidents per 100,000 U.S. children climbed 80 percent. After that, the trend began to reverse, with the rate dipping by about 30 percent through 2015. This study can't show why, Casavant said. But, he said, growing awareness of the nation's opioid problem is a likely factor. Medical groups have come out with new prescribing guidelines, aimed at curbing inappropriate opioid use. And laws have been passed to thwart problems such as "doctor-shopping" -- where people go from doctor to doctor, trying to get a new opioid prescription. But the study also found some patterns that aren't going in the right direction. From 2000 to 2015, the rate of suspected suicide-by-opioid rose nearly 53 percent. Buprenorphine is actually used to treat opioid addiction. Brand names for buprenorphine combined with naloxone include Suboxone and Zubsolv. Nearly all calls related to buprenorphine involved young children who'd accidentally ingested it. Dr. David Rosen is a professor of anesthesia and pediatrics at West Virginia University in Morgantown. He cowrote an editorial accompanying the study. Rosen made another point: Rural areas of the United States have been hardest hit by the opioid epidemic, and national studies don't reveal what's going on at more local levels. One reason rural areas are so affected, Rosen said, is that people lack access to alternative ways to manage pain. Acupuncture might be an option in a city, for people with the money to pay for it, Rosen said. That's not the case in rural areas. A second study in the same issue of the journal found that when U.S. teenagers abused prescription opioids, it was often after they'd been given a legitimate prescription. More prudent prescribing, to both adults and teens, is one way to address the national opioid problem, both Casavant and Rosen said. "Make sure you try every option before going to an opioid," Rosen said. And then, the prescription should be for a small quantity of pills, at the lowest dose possible. "Parents should keep the medication not just out of reach, but locked up," Casavant said. And any leftover pills should be promptly discarded, he added. Rosen agreed. "Never keep extra medication around so you can 'self-prescribe' the next time you have back pain," he said. "If it's lying around the house, it's available to everyone."